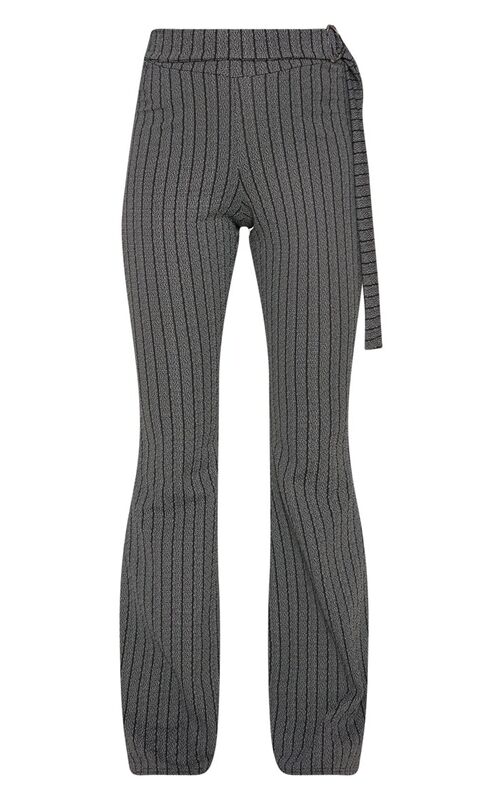 Take stripes to the next level in these insane pants. Featuring a grey textured fabric with a stripe print and D ring attached belt, what's not to love? Style with a black turtle neck, chunky black boots and finish off the look with hoop earrings and a back pack for a cool, off-duty vibe.